Actor Abhishek Bachchan, who plays a Sikh in Manmarziyaan, says his paternal grandmother the late Teji Bachchan. 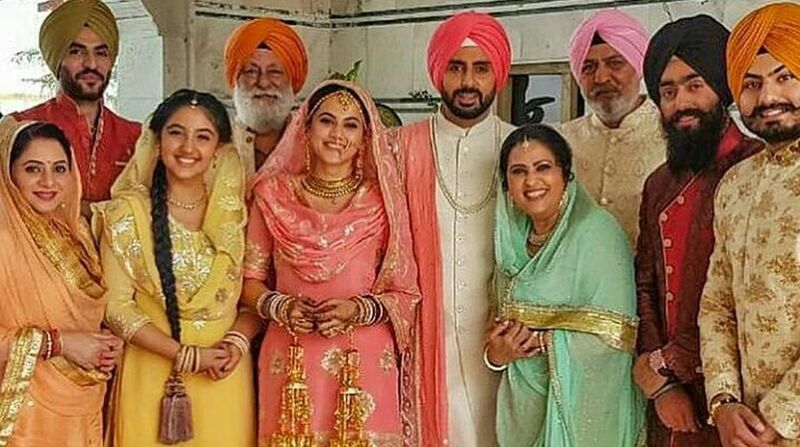 Actor Abhishek Bachchan, who plays a Sikh in Manmarziyaan, says his paternal grandmother the late Teji Bachchan, who belonged to the community, would have been happy to see him portray this role. Abhishek told IANS here: “Yes, dad shared the picture of my turbaned look and he said that he felt proud. My Dadima (grandmother) was Sikh, so there is an emotional attachment to the whole thing. Though the first time when I wore the turban to get my look done for the shooting, I was more focused on my performance. But later when I saw the footage, I felt special. The actor became nostalgic as he spoke of his grandmother. “Dadima used to tell me and my sister some wonderful bedtime stories. She used to put us to sleep with those stories… We had so many lovely memories with Dadima,” said the actor, whose elder sister Shweta has recently turned designer. So, did he get a chance to travel around the vibrant city of Amritsar? “No, not much during the shoot because we had a tight schedule to finish everything. So we did not get much time to explore Amritsar,” said the “Guru” famed actor. “As an actor, he disarms you, makes you very comfortable in front of the camera. But I know he is my dad, so I can go back home and can discuss my character with him. My experience with him is a combination of father-son and co-workers,” said Abhishek, who has worked with Big B in films like “Paa”, “Sarkar” and “Bunty Aur Babli”. “I must mention that anybody who has worked with him would love to work with him again and again,” he added. At a time when star kids are getting overexposed to the paparazzi culture, does his 6-year-old daughter Aaradhya feels comfortable before photographers when she travels with her parents? Abhishek said: “Well, she has no choice I guess. But a baby cannot feel comfortable completely when those flashlights come on their face.